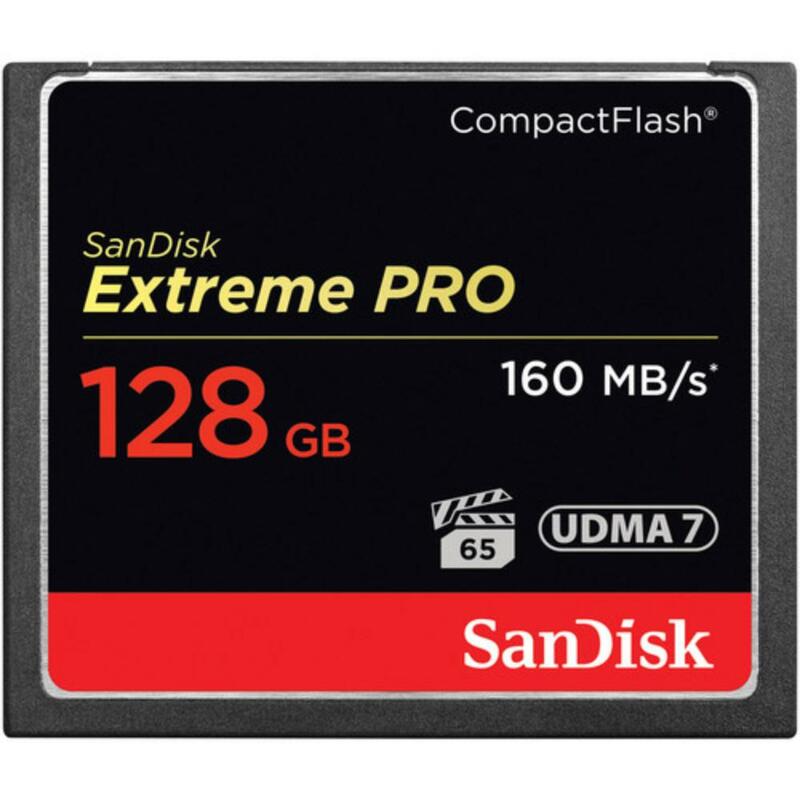 The SanDisk 128GB Extreme Pro 160MB/s CompactFlash Memory card is optimized for 4K video with enhanced data read speeds of up to 160MB/s and data write speeds up to 150MB/s. It supports sustained data write speeds of 65MB/s. It sports an inner silicone coating to protect it against shock and vibrations and can withstand extreme temperatures (-13 to 185°F). It is also compatible with RAW and JPEG file formats for still shooting. 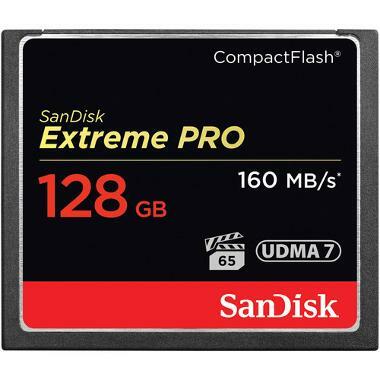 • Find out if you camera is compatible with this card using the SanDisk Product Compatibility Guide. • This is a CompactFlash (CF) memory card, which is not to be confused with CFast memory cards. CF and CFast are not interchangeable.